Ingredients for this delicious dish 🙂 I made half the recipe, since I didn’t have enough Brussels sprouts! As I’ve mentioned before, I’m a big fan of Brussels sprouts…and I don’t mean the overly cooked, steamed or boiled kind. Roasting and sautéing these little cancer-fighting cabbages is the best way to make them taste absolutely delicious and turn haters into followers! I tried a new recipe this week from my favorite blog, Nourishing Meals. It’s a variation of one that I’ve made roasted, but this time it was sautéed. 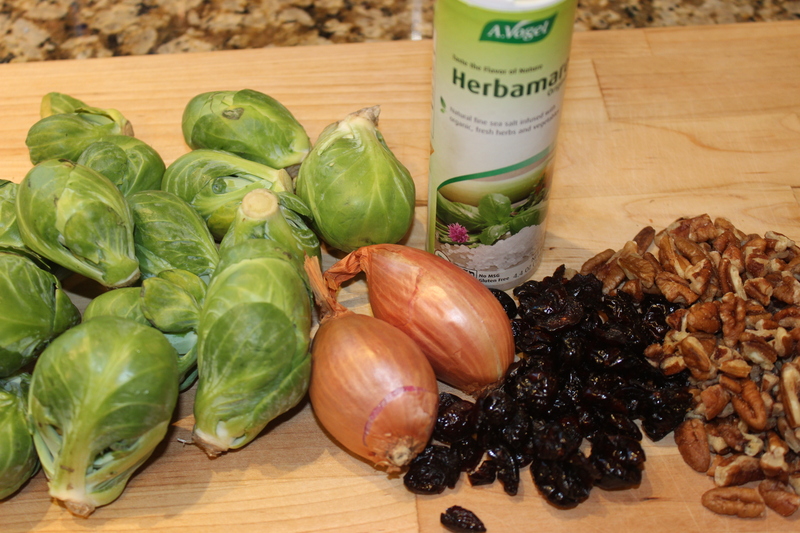 This recipe has become another favorite of mine, as it includes Brussels sprouts, shallots, cranberries, and nuts, which are all anti-cancer, anti-fat storage GBOMBS foods. 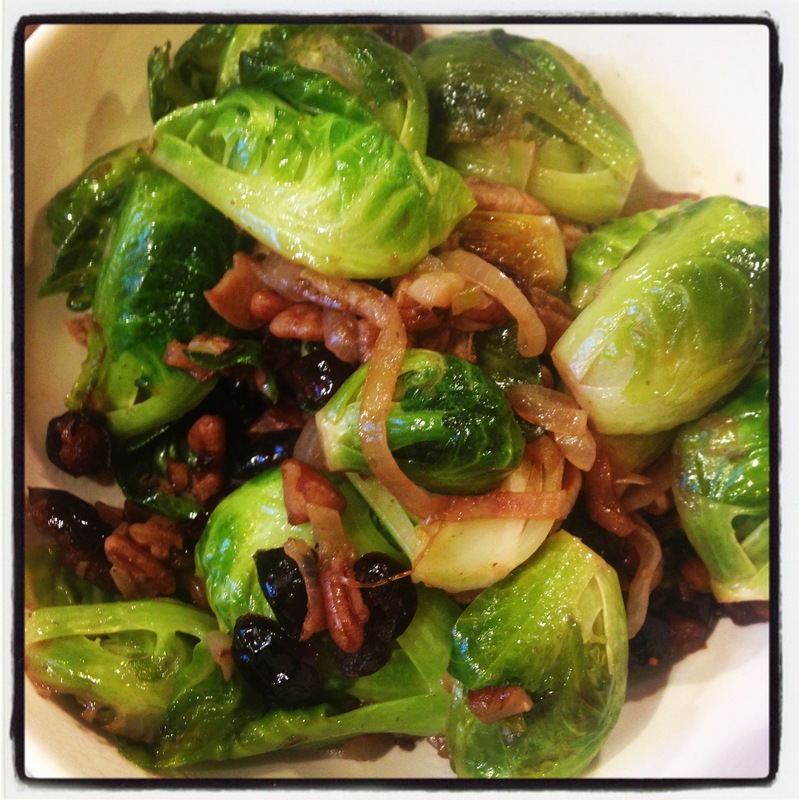 The combination of the slightly bitter Brussels sprouts, sweet shallots, tart cranberries, buttery pecans and a hint of salt packs this dish with flavor! This recipe takes less than 20 minutes from start to finish. I made a few modifications and used pecans instead of the sliced almonds and added some garlic because garlic makes everything taste better!